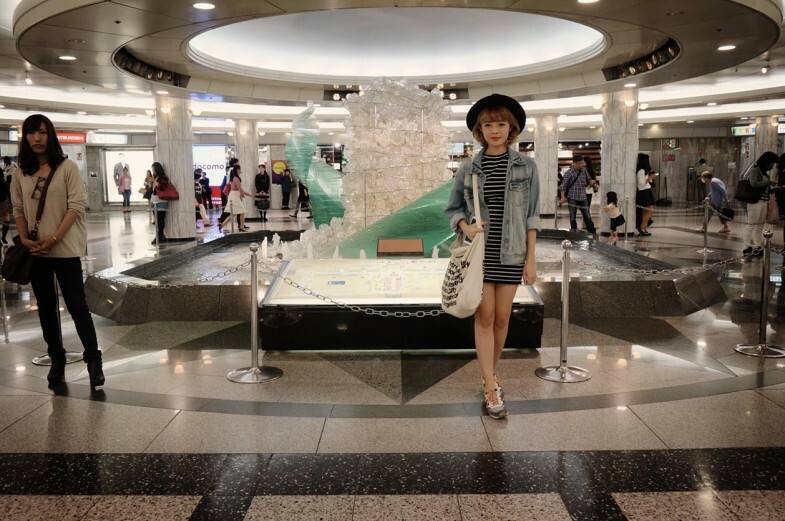 I have never thought that I will get to visit Japan again after my previous trip in Oct, 2013. 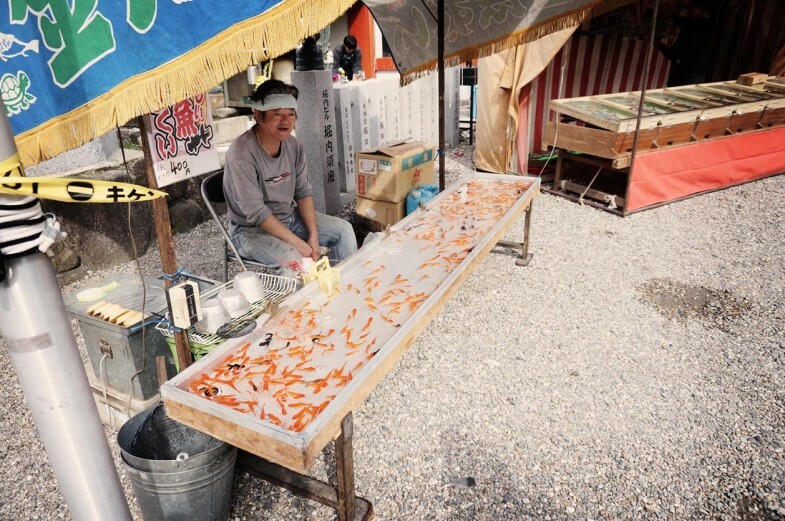 Japan has become one of my favorite places to visit after my first trip back in 2012. I like how well developed the people, the place, and the culture, are. Since I have already been to Tokyo, Osaka and Kyoto, I really wanted to visit some other city in Japan. So, when I was told that I got to go to Nagoya for a 4D3N trip, I was beyond happy! The most exciting thing about this trip is that I get to travel with a few blogger friends like Citygal and Audrey! 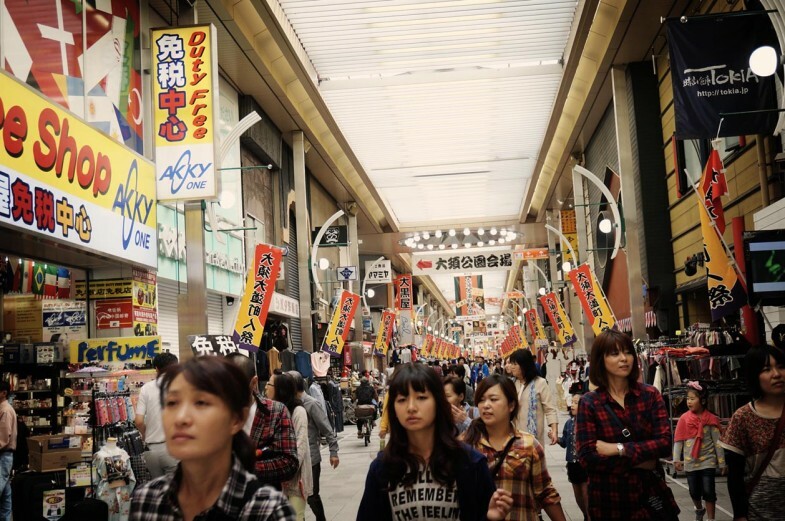 A 4D3N trip is more than enough for me to shop and eat in Nagoya. Since I spent most of my time visiting shopping malls and drug stores I shall share the places that I went to during my trip. 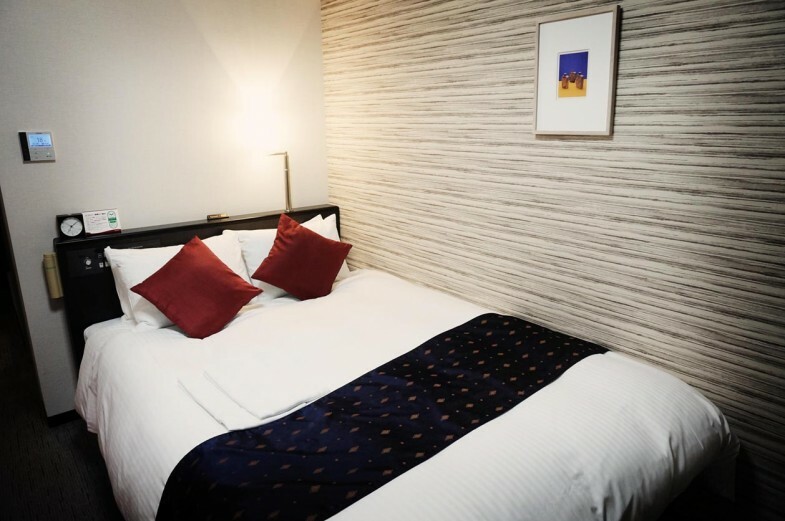 This blogpost will be slightly different from my other travel because it’s more informative, and I will try to list down the places that I visited, the hotel I stayed in and how much I spent there! 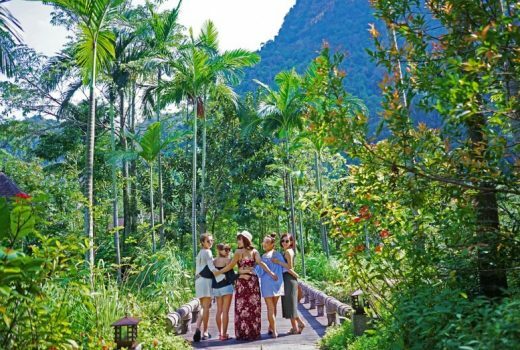 To those who thinking about visiting or even planning your trip, I hope my post will help you pull the trigger on that booking! 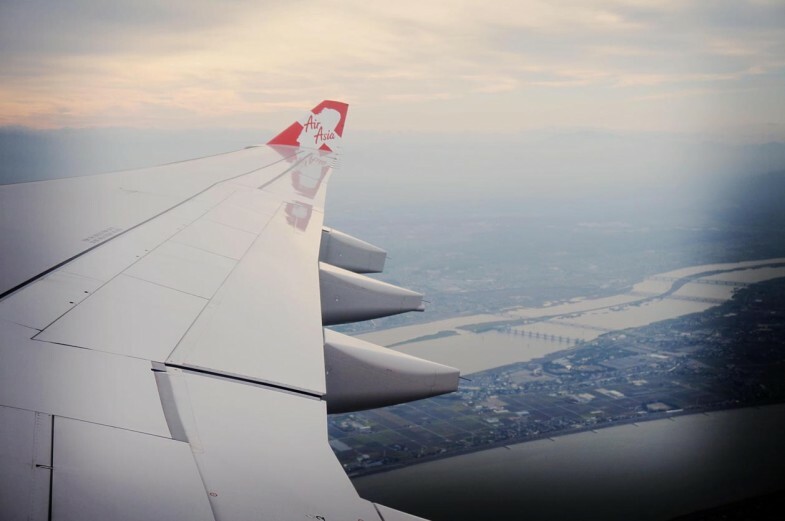 Just like my previous trips to Japan, I traveled with Airasia because there is a direct flight from KUL to Nagoya (6 hours 40min) and the flight time is perfect because it leaves KUL in the morning and reaches Nagoya just in time for dinner. Our Japanese client was sweet enough to pre-book our meal, duvet and comfort kit to keep us comfy on the 6 hour flight. We were pretty lucky because the flight to Nagoya wasn’t full so we get to occupy 3 seats for ourselves to sleep! With the comfort kit and duvet, we created our own first class in economy class hahaha. Halo Japan, it has been a while since I last visited you! 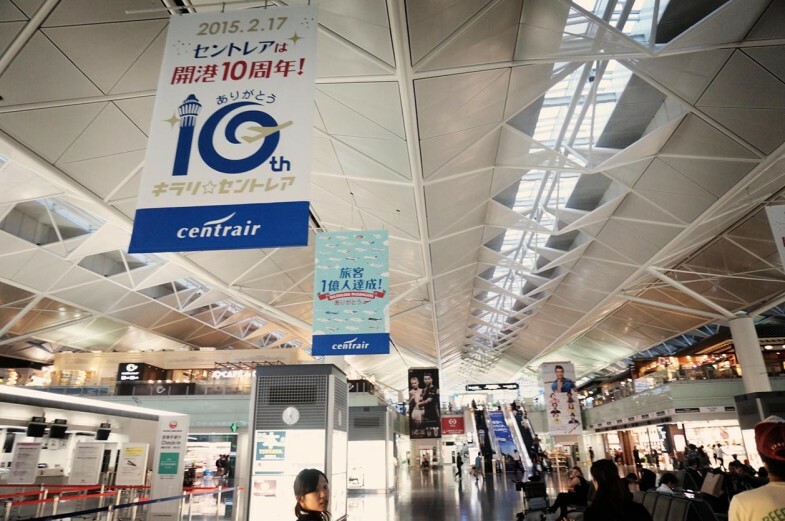 We arrived in Centrair Airport at around 5pm local time. This airport is huge and it’s filled with lots of restaurants and shops! According to our clients, some locals will just travel to the airport just to shop. 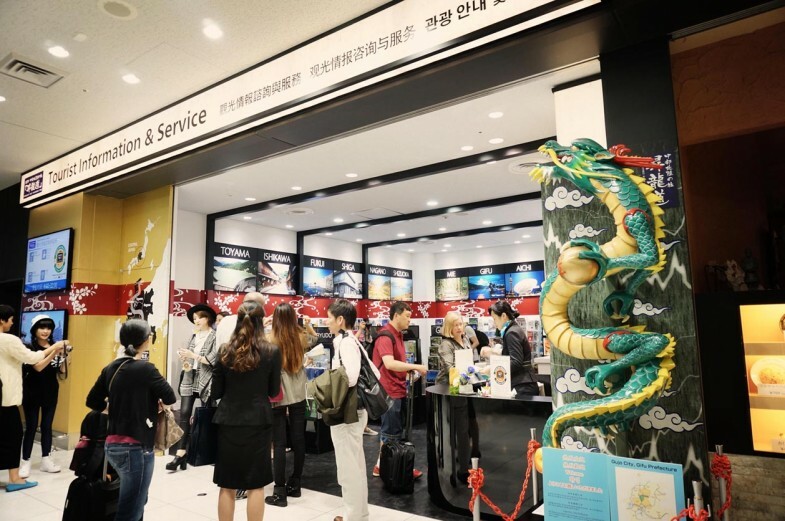 If it’s your first time in Japan or Nagoya, there is a Tourist Information & Service counter at the arrival hall. 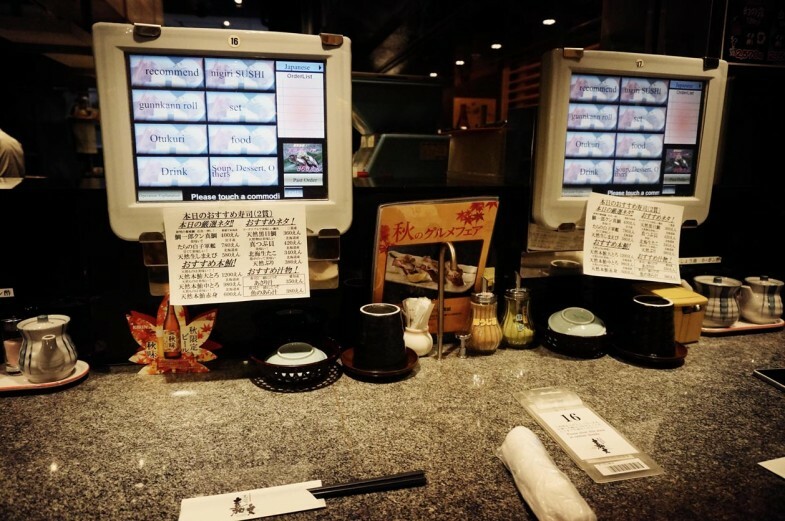 All of the counter attendants speak English, Korean and Mandarin so it’s perfect for people like me who don’t understand Japanese besides ‘arigato’ and ‘moshi moshi’ lol. There are free guides and maps available so feel free to grab anything that you need! Another service that is perfect for us is their Same Day Baggage Delivery service!! 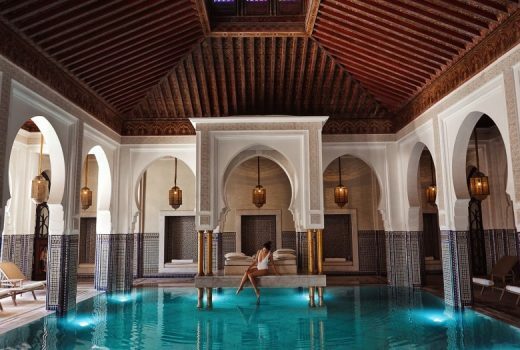 If you prefer to travel light and want to hit the city immediately, this service is perfect for you. All you need to do is to drop your luggages to them then they will deliver them straight to your hotel. 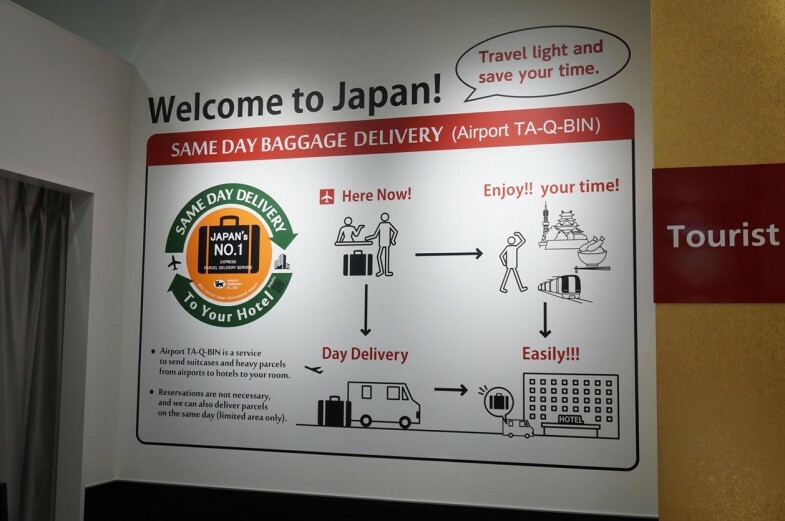 You will receive your luggages on the same day in your hotel, no hassle and super carefree! Isn’t it perfect? 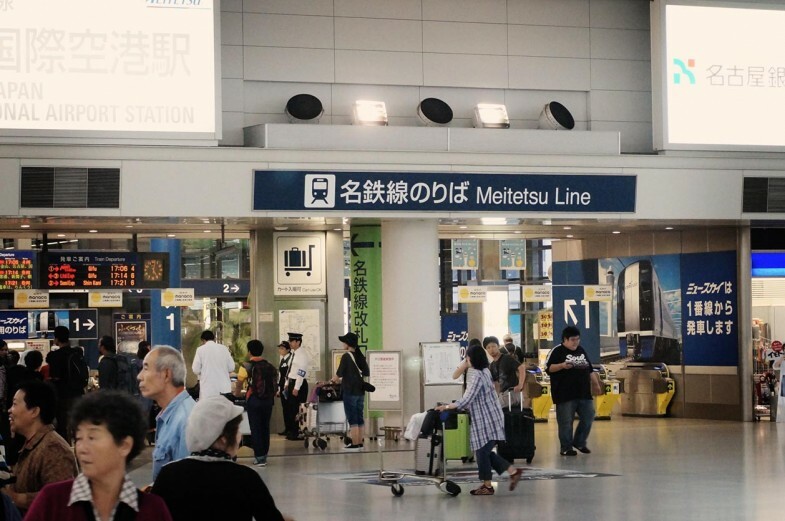 We took the Meitetsu Line to town and it took around 32 minutes from airport to Nagoya Station (870 yen one way). 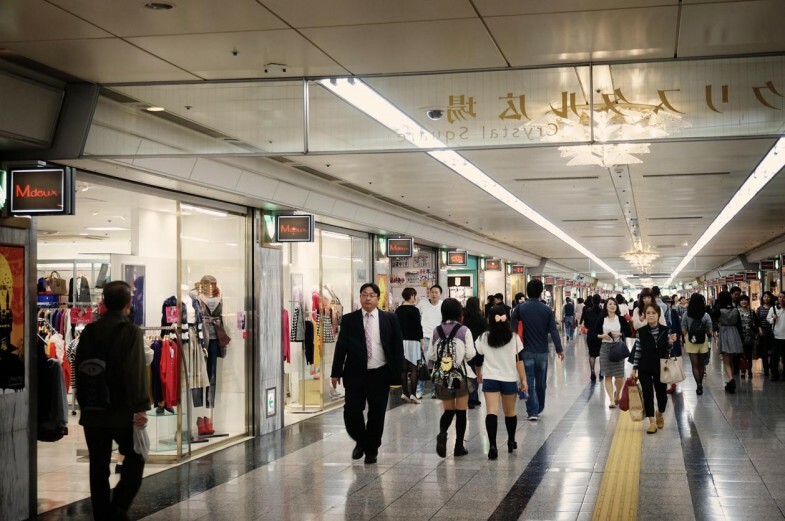 Taking the train or subway in Nagoya is really convenient; you can basically reach most tourist attractions and shopping malls. 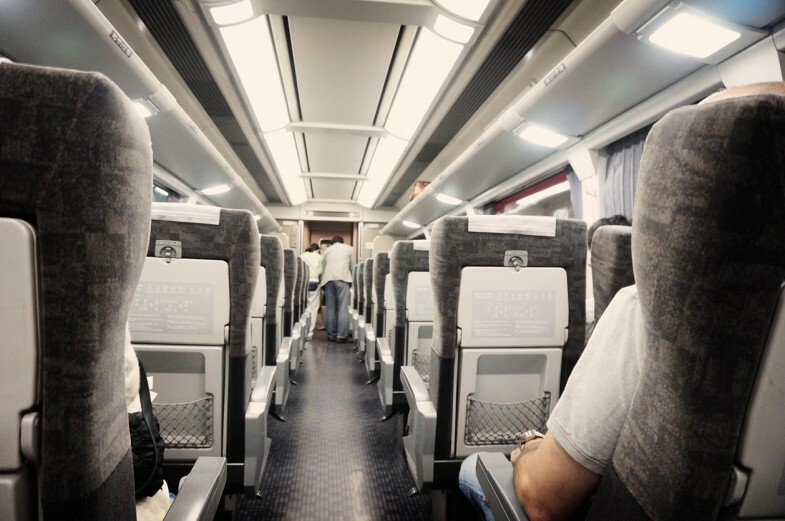 Their train from the airport to the city is really spacious and clean so you don’t have to worry about your luggages. 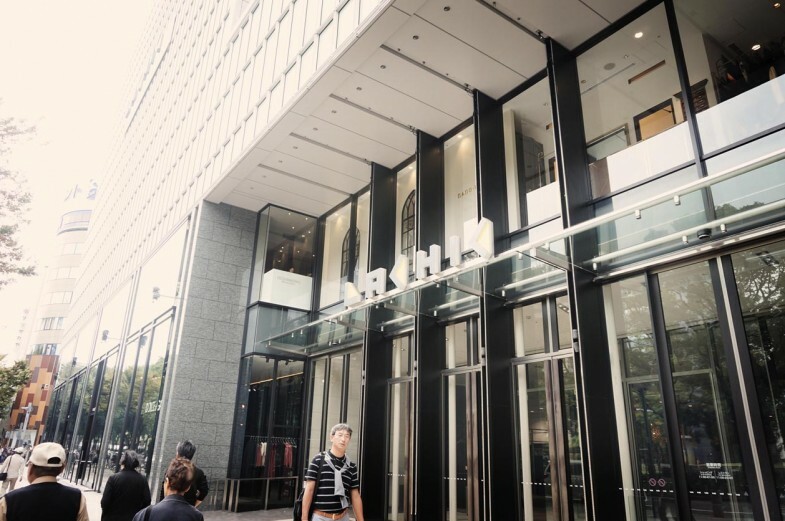 Our home for 4 days, the Richmond Hotel, is located in downtown Nagoya. 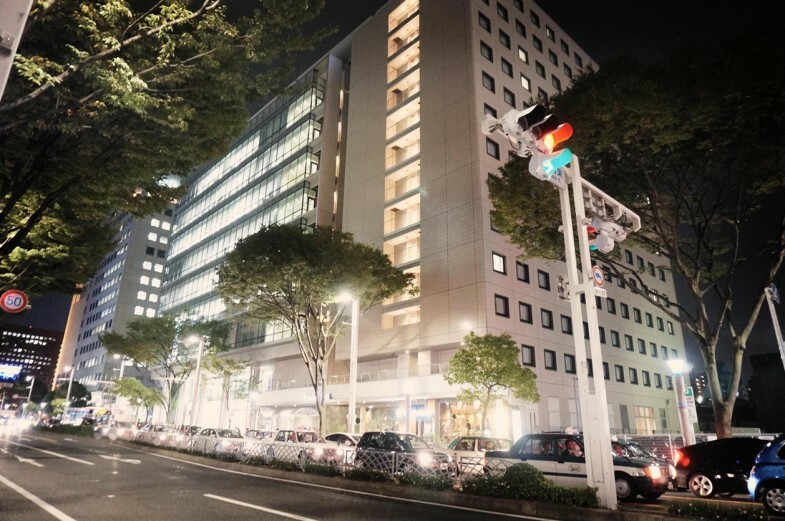 It’s a 6 min walk from Fushimi station, 9min walk to Nagoya Station and around 16 min walk to Lachic where most shopping malls are located. Our room is really clean and new. 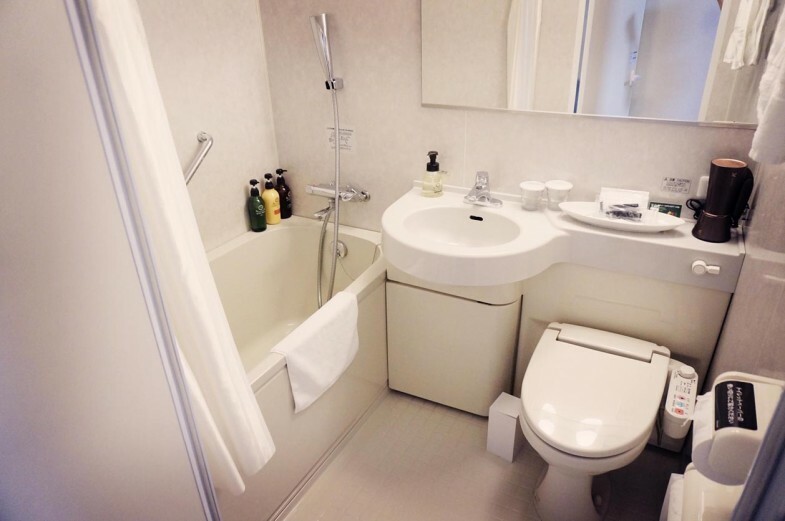 I’m in love with their bathtub and toilet bowl hahahaha. They provide everything you need in such a small room, such as a air purifier, full set of toiletries, freshener and ironing press, which I have no idea how to work (the standing machine in this pic). 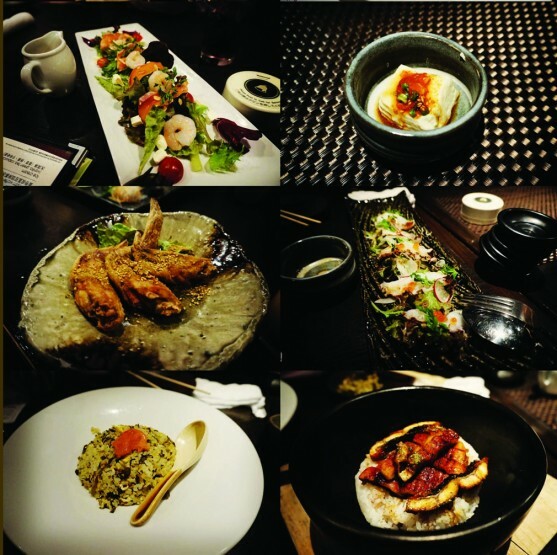 After settling down and a quick change, our Japanese clients brought us out for a welcome dinner at a nearby restaurant called SOU. It’s just one block away from our hotel! We were literally spoilt by them with so much delicious food! 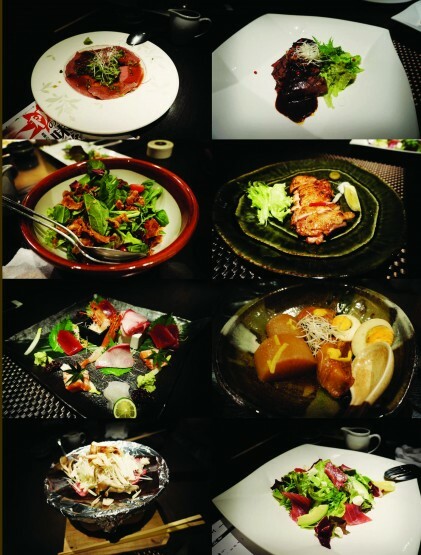 If you were to ask me to choose my favorite dish, it will be the raw beef slices and the plate of sashimi! 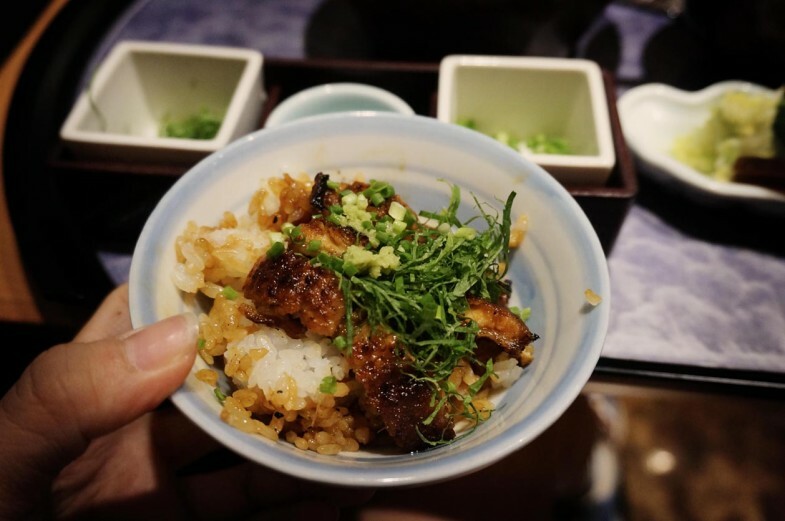 Citygal and I enjoying Nagoya’s famous unagi rice for the first time! After dinner, we went straight to the drug store located opposite our hotel. There were around 3-4 drug stores and convenient stores around our hotel, most of them close at around 9pm – 10pm. 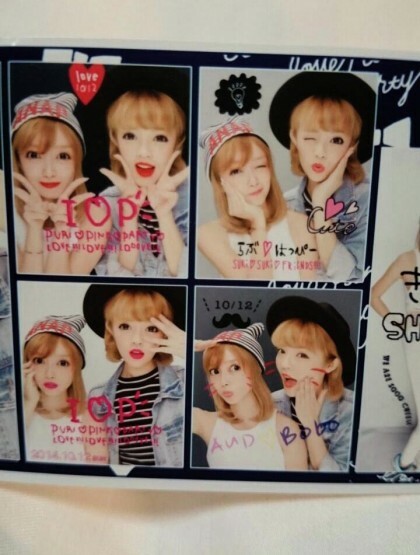 This is what happens when you let girls into the drug stores in Japan, they go wild!!! 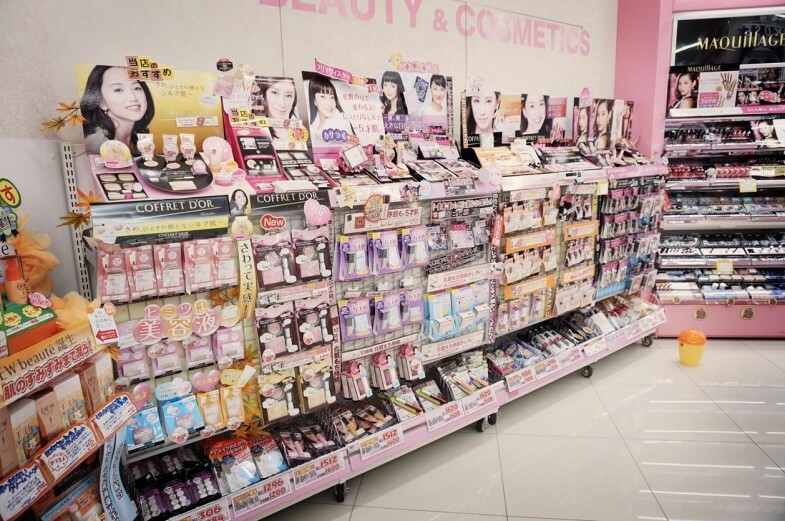 Look at the amout of cosmetics they have! You can literally go in bare faced and come out with full makeup on! Most of them are cheaper than Malaysia too! 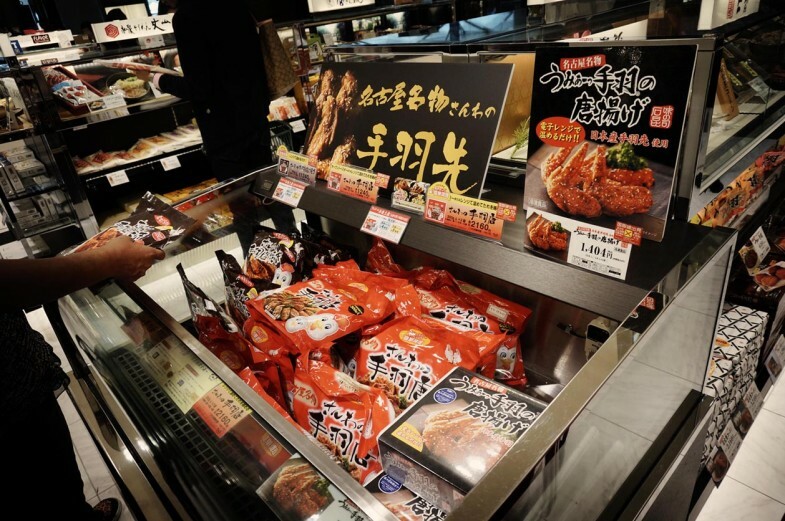 You don’t have to worry if you get hungry at night because the convenient stores are as happening as a restaurant lol. 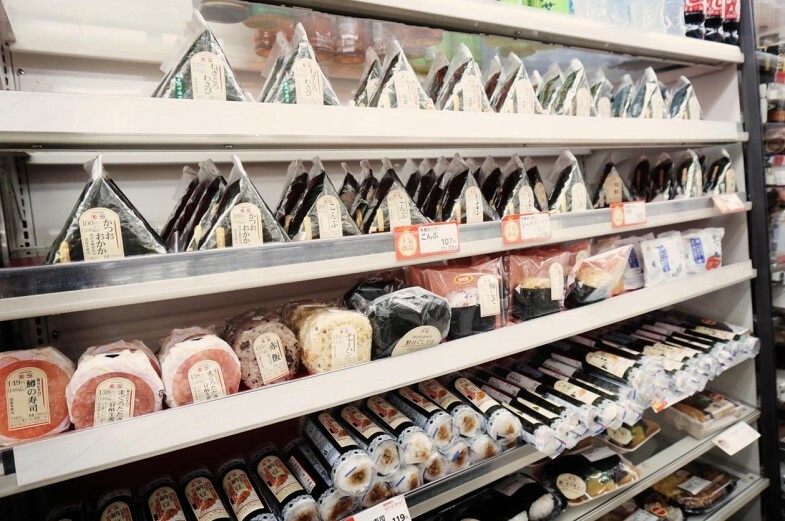 Onigiri and sushi rolls every where! You have seen fridges that keeps drinks cold but not a “fridge” that keeps drinks warm!! They have warm drinks during fall and winter, so drink all the warm milk teas and green teas pls! The night before, Audrey and I sort of planned our own itinerary for the next day! Our plan was to visit Ohsu shopping district in the morning and then head to Nagashima shopping outlets after that! 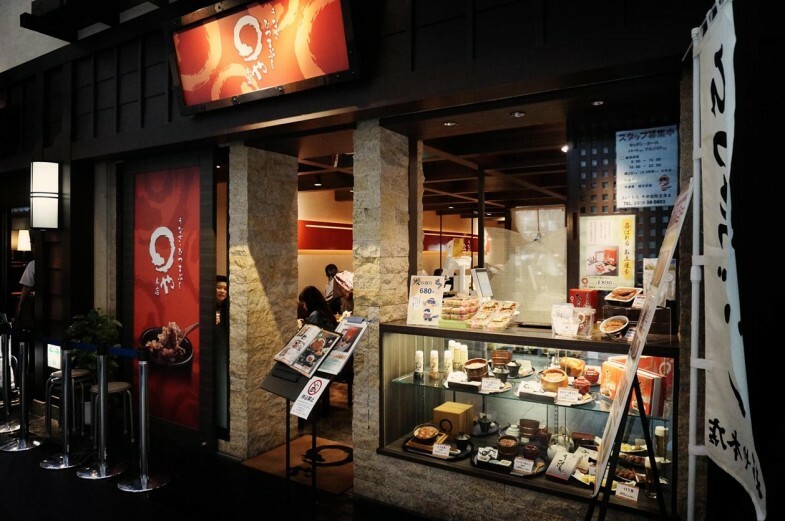 Expected, our breakfast was Onigiri and warm milk tea from 7-11, which cost only 300yen. 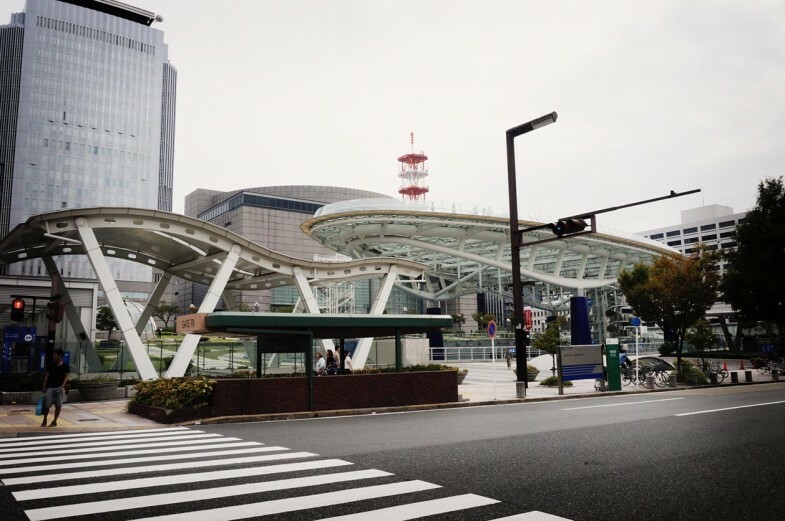 We took a short walk from our hotel to Fushimi station. 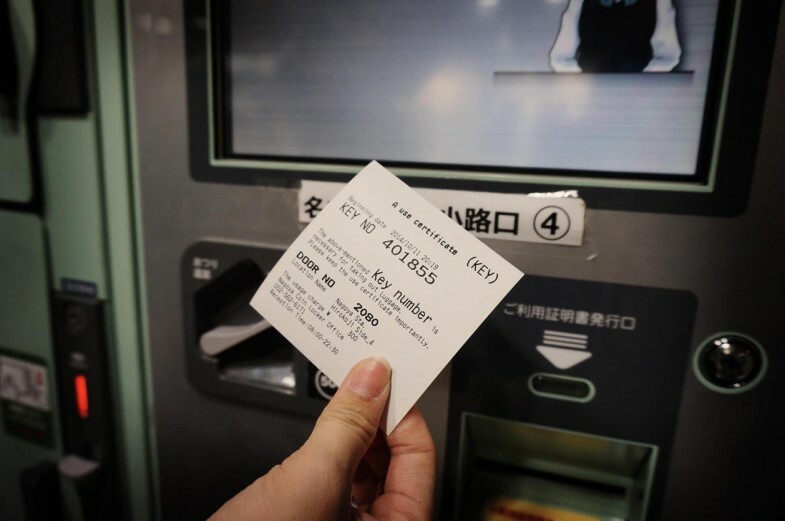 Tips- Show your passport and get a one-day bus and subway pass for adults for 600 yen instead of 850 yen! 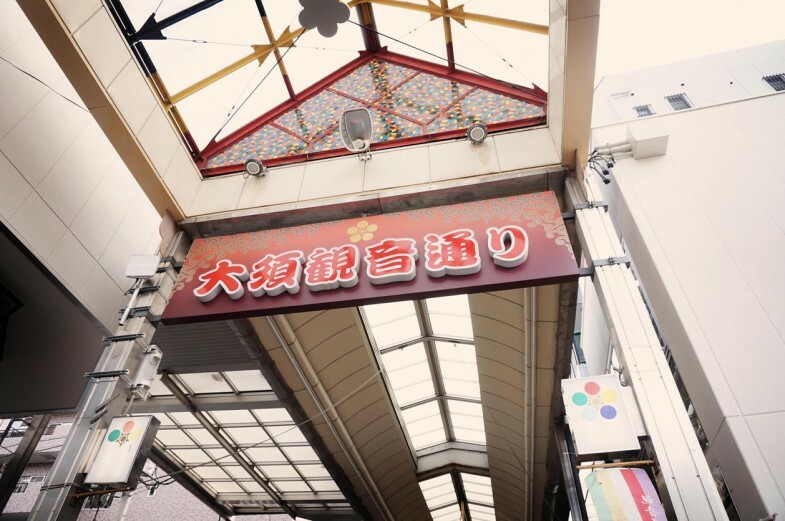 Oshu shopping district can be reached by Ohsukannon station (exit 2) and the perfect time to visit the shopping district is after 11am. Most of the shops open at around 10.30am but if you’re early like us you can walk around and visit the temple. 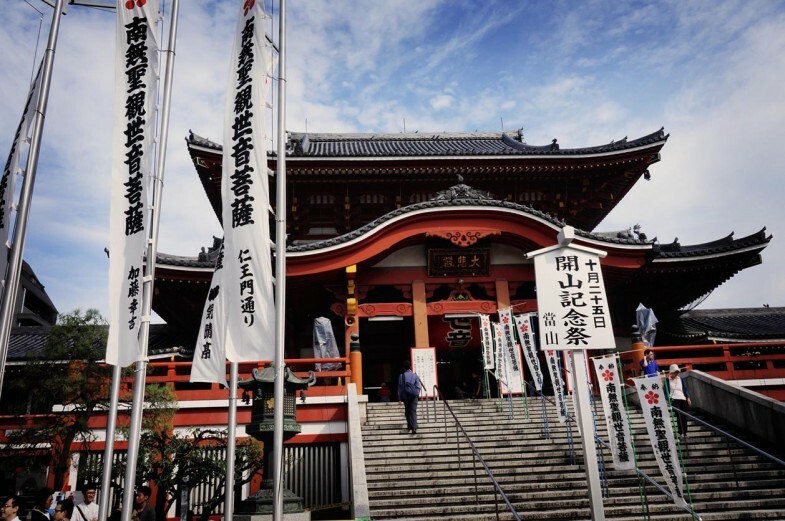 Osu Kannon which was relocated from Kuwabara-cho to its current location since 1612. Audrey and I in front of the temple! It’s a perfect place for photos! There are also a few stalls selling food and some have our familiar fairground games! To those who read Japanese maybe you can grab one home! Then we took a stroll around Osu shopping district! 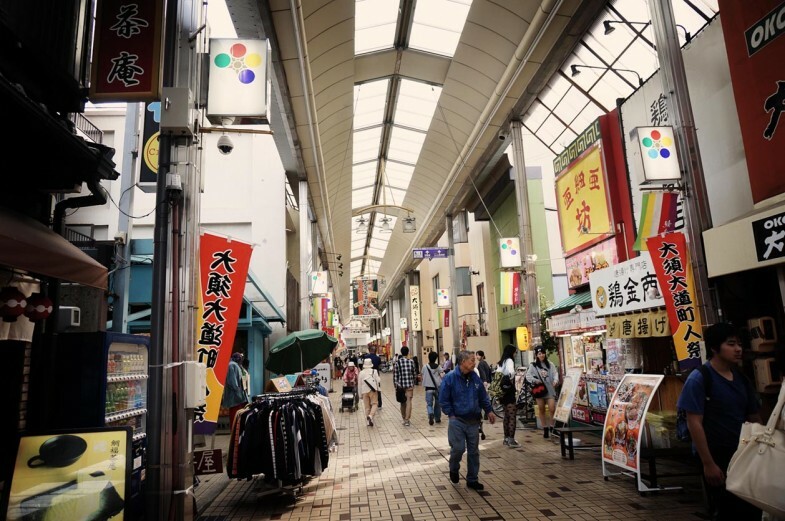 Osu shopping district is made up of rows and rows of local stores where you can get the feel of Nagoya local culture and trends! We were there pretty early so most of the shops were still opening but you can you can feel the vibe through these pictures! Make sure you reach there around 11am ya! 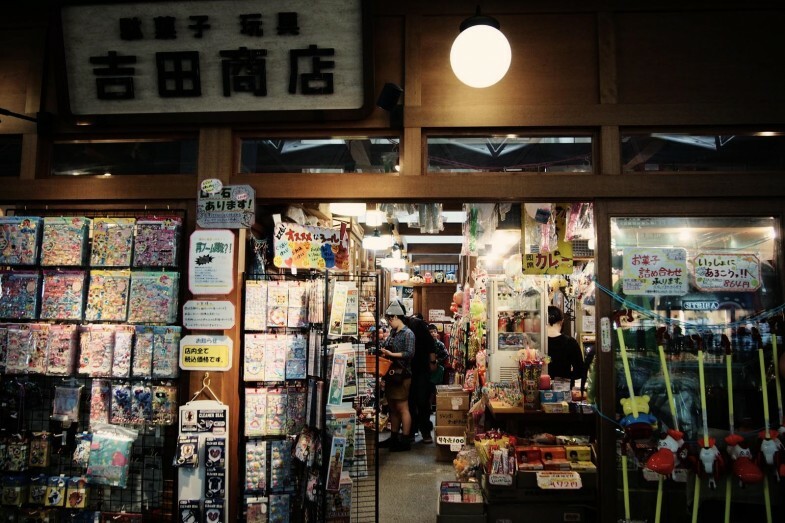 There are shops that sells kimono and Japanese kitchenware! We also found a very cute shop called Alice on Wednesday. 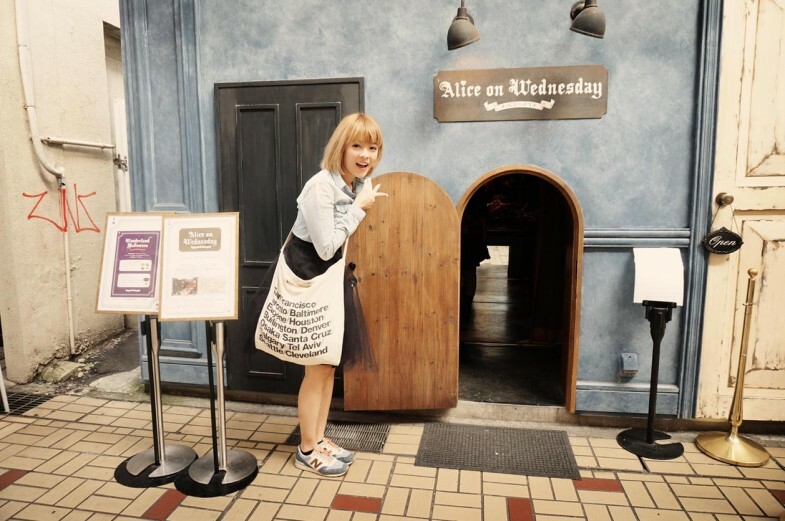 It’s a Alice themed accessories shops! Most of their accessories are pretty cheap, around 700 yen for a bracelet. 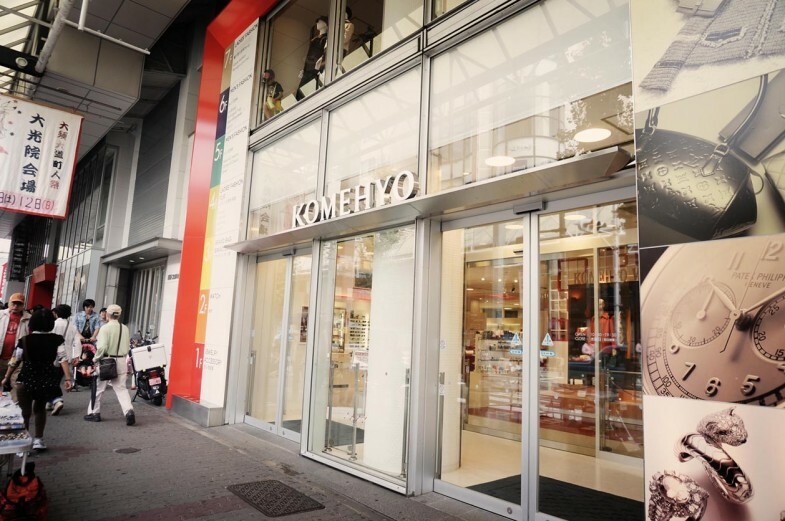 There is also second-hand shopping mall called Komehyo inside Osu shopping district. I was pretty excited to shop in this mall because they sell a lot of authentic second hand branded goods! 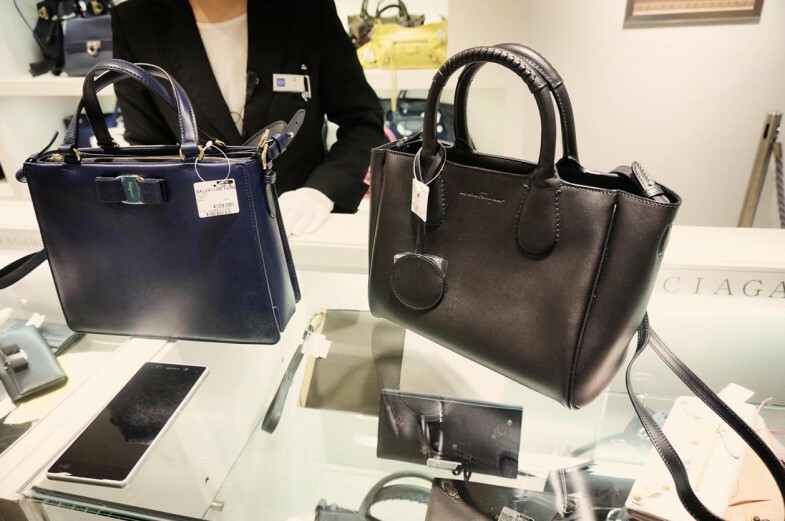 Audrey and I headed straight to the floor that sells branded bags and accessories. 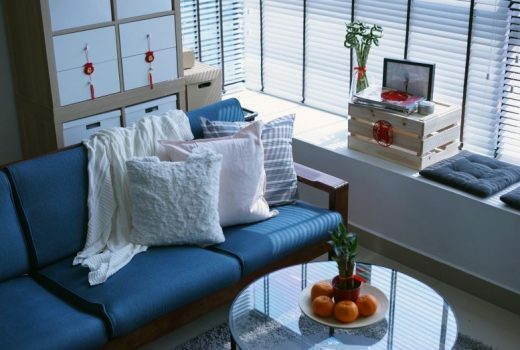 They rank each of the products by its condition for example ‘New’ is brand new, ‘A’ is second hand but in excellent condition then ‘AB’ and ‘B’. 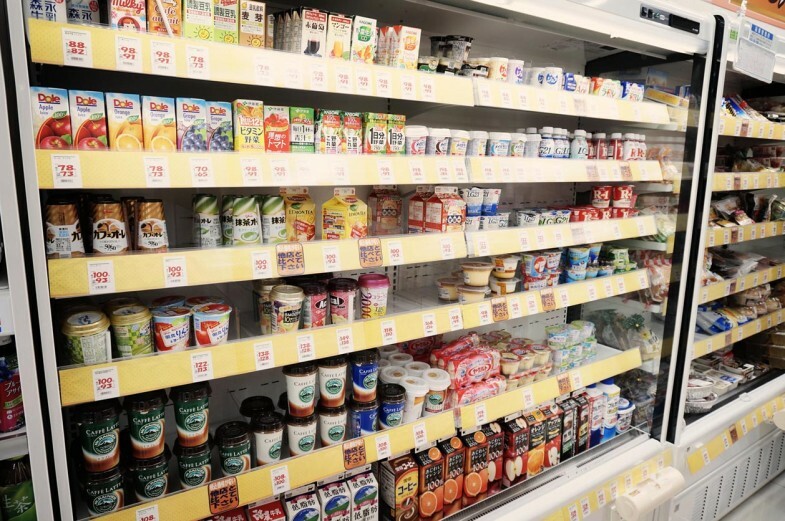 Most of them are around 40-50% cheaper than buying it in Malaysia. The salespersons were really friendly and helpful too, so feel free to ask them if you need to try them on! So sad that I couldn’t bring one home. After a short walk at Osu shopping district, we proceeded to Mitsui shopping outlets!! 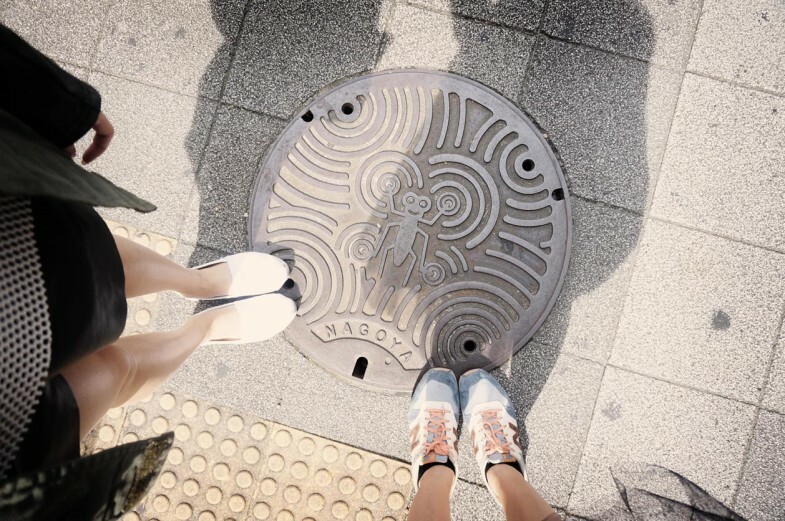 Manholes in Japan are always the cutest. We took the subway from Ohsukannon station back to Nagoya station. Then from Nagoya station we took exit 9 and after a few min walk we got to the Meitetsu bus center. 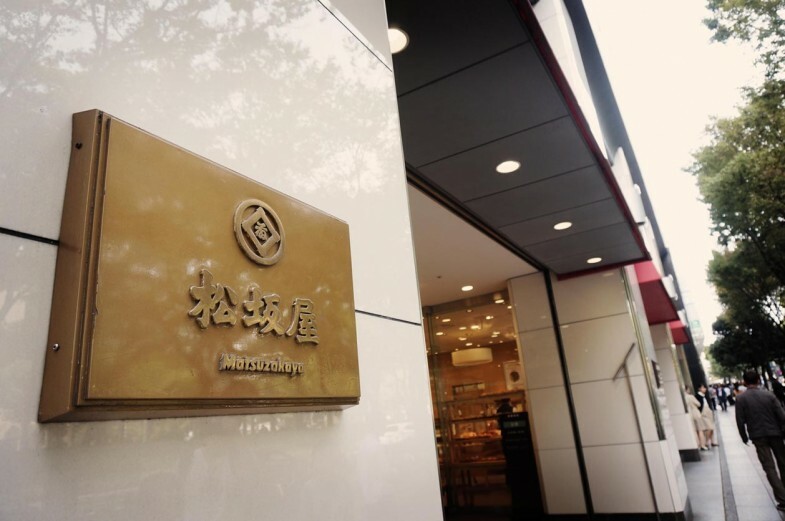 Mitsui shopping outlets is 42 min away from Nagoya by bus and it cost around 1900 yen (back and forth). 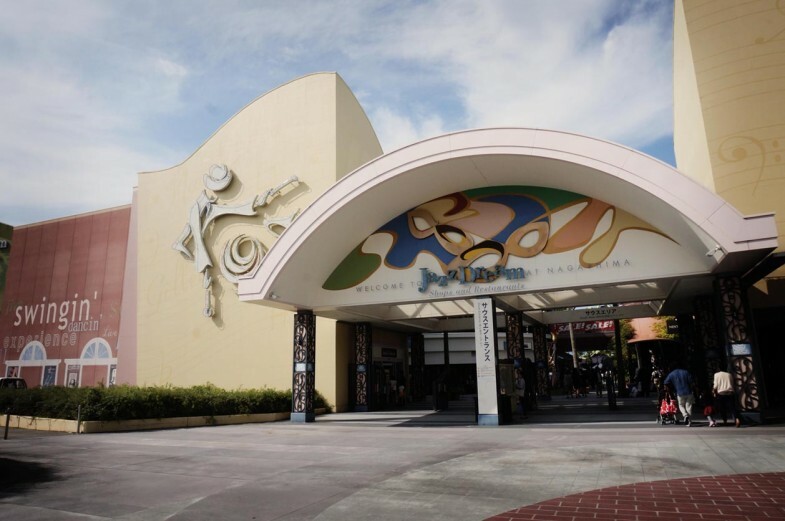 The bus arrives every 30 min from Meitetsu bus center to Nagashima hotspring and Mitsui shopping outlets. 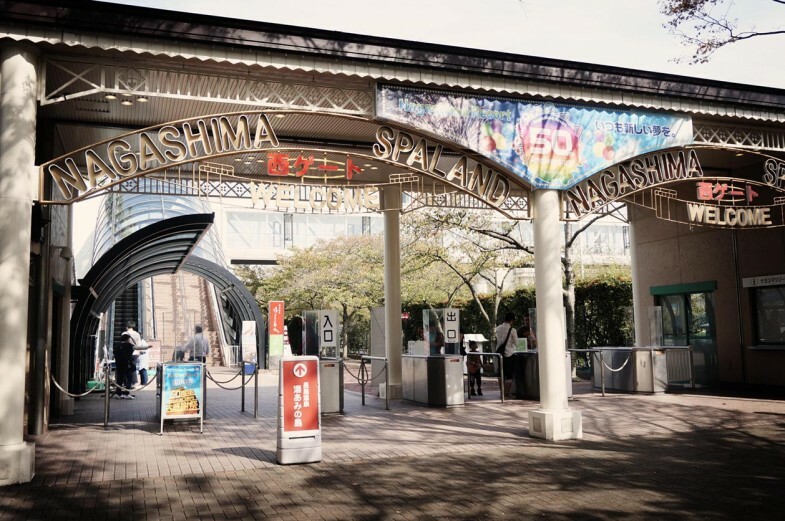 Nagashima is perfect for families because it’s actually a big theme park that includes a hotspring and shopping outlets. If you’re coming with your family, your dad can go to the hotspring, mummy and you can go shopping and your brothers or children can just hit the theme park. It’s a brilliant idea so that everyone can have a good time. 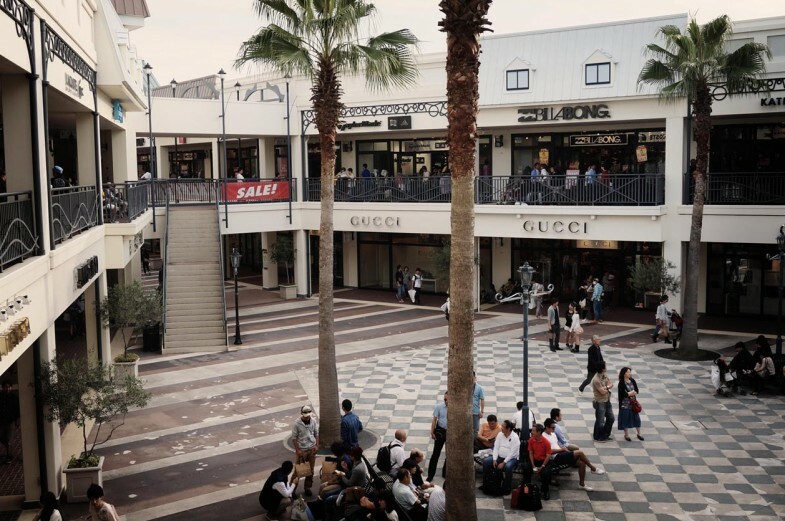 The Mitsui outlets look exactly like the outlets in the States, they have all the brands that you can think of, from Emoda to Gucci or Givenchy! 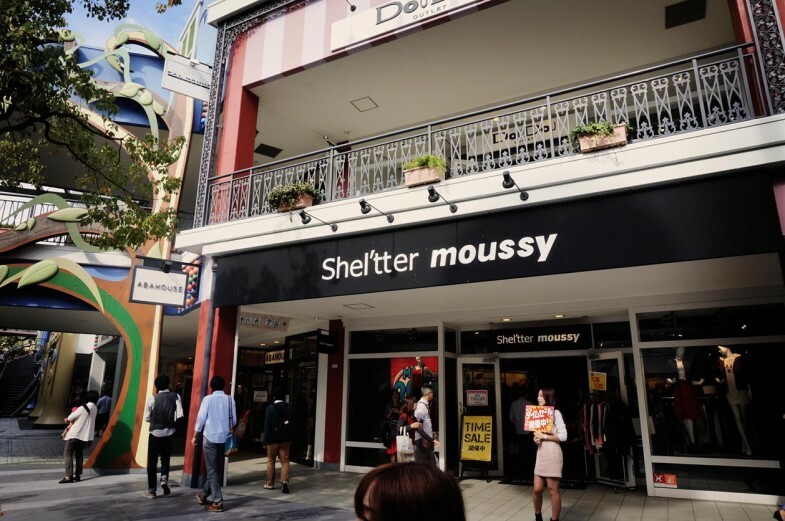 Audrey and I went straight to Moussy and Emoda the moment we entered the outlets hahha. 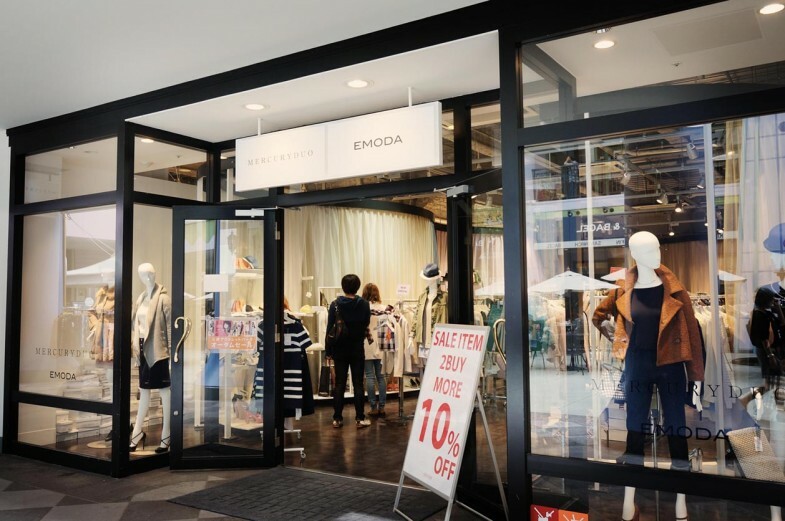 I got a Emoda bag for only 1800 yen! Audrey managed to buy a lot of clothes that is at least 40% cheaper than the normal prices! After a while we headed to the food court for lunch. There was a lot of variety of food for you to choose from. I got myself a set of fried chicken and rice for only 1080 yen! It was really yummy and satisfying! Everything in Japan tastes super good and satisfying hahaha. After a short break we continued our shopping spree till sunset! 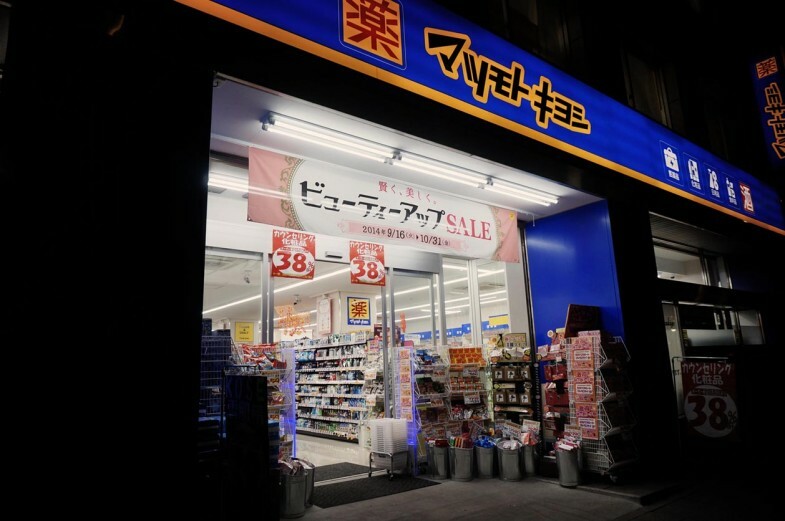 The last bus from Nagashima back to Nagoya is at 8.50pm and the bus stop is just a stone’s throw away from the entrance, so more time to shop! We left Nagashima at around 6.30pm so we still had plenty of time to shop in Nagoya! Since we wanted to continue shopping around Nagoya station before heading back to the hotel, we decided to rent a locker in the station! I think this is one brilliant idea to have coin lockers in every corner of the station! 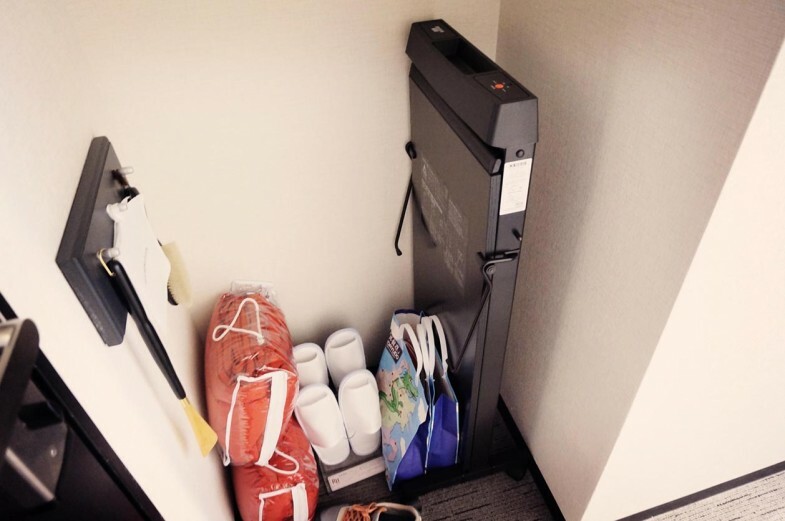 It costs around 300yen for a small locker but it’s a perfect size for all of our shopping bags! There is also a bigger sized locker that can fit your luggage and it cost around 800yen for a whole day. It’s pretty convenient and thoughtful for tourists or shoppers like us hahaha. 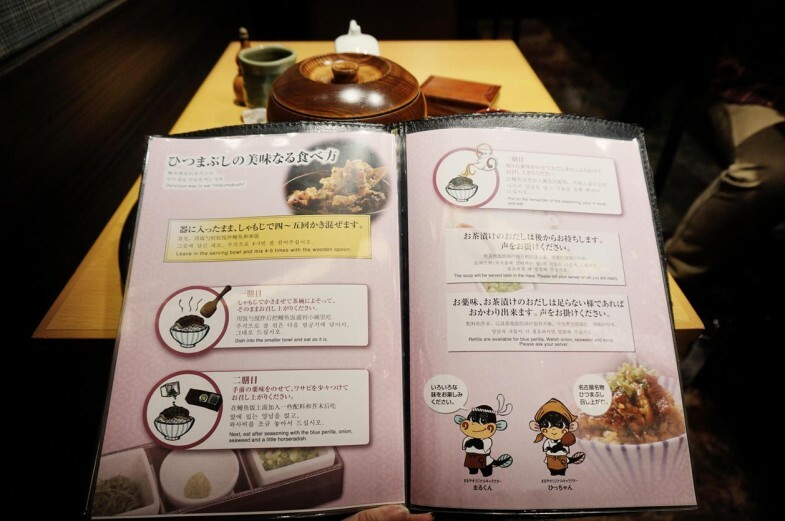 How can I not eat sushi when I’m in Japan but poor Audrey can only eat ramen instead T____T With the amount of food that I ordered it only cost around 2040yen! 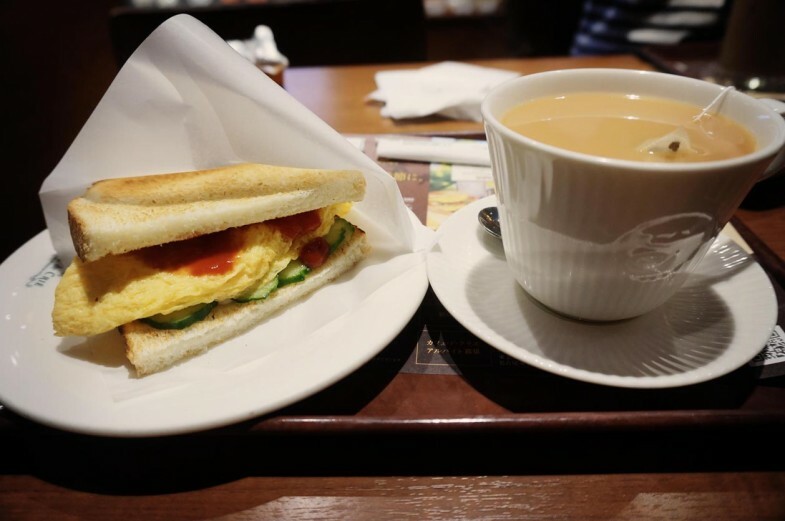 No more onigiri for breakfast but a proper one with tea and sandwich at a nearby café! Our plan for Day 3 is more relaxing and will be just around Sakae so we decided to meet up with Citygal for breakfast before our shopping spree ahead! 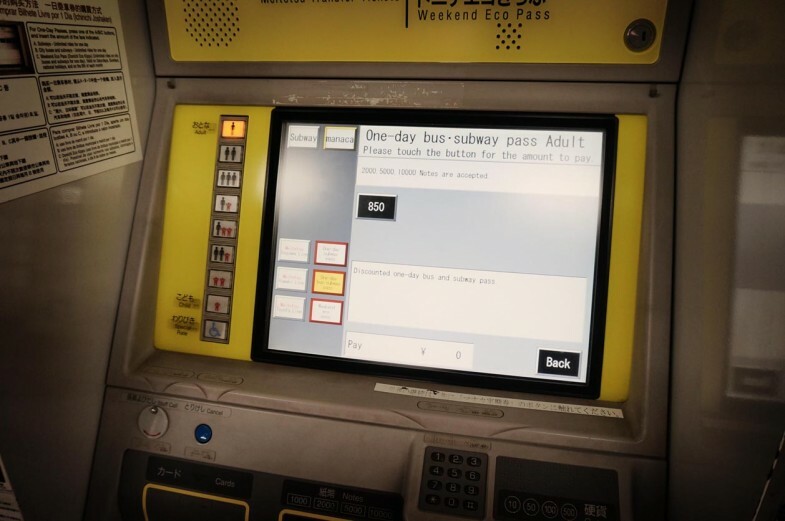 Since we wont be going around shopping malls by bus or subway, we decided to just buy a one-way subway ticket to Sakae station (200yen) instead. 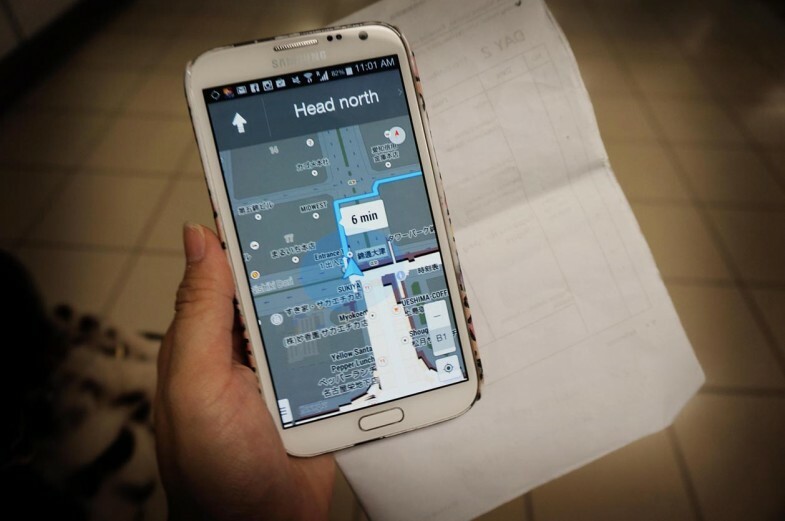 Tips- Google Map works extremely well in Japan so make sure you have Google Map in your device! 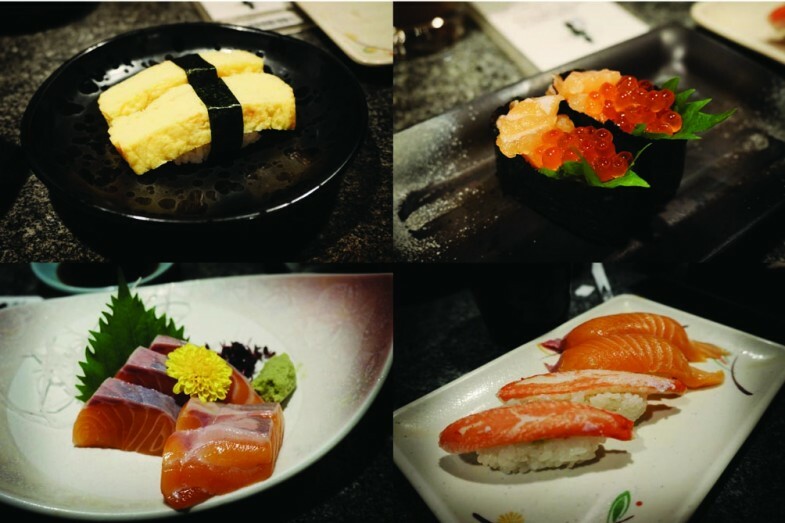 First we visited Sakae Chika which is located right inside Sakae Station. It has a lot of fashion stores and restaurants! 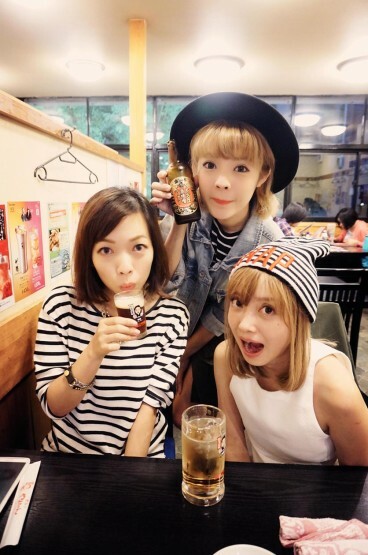 A few local fashion brands can be found here too! 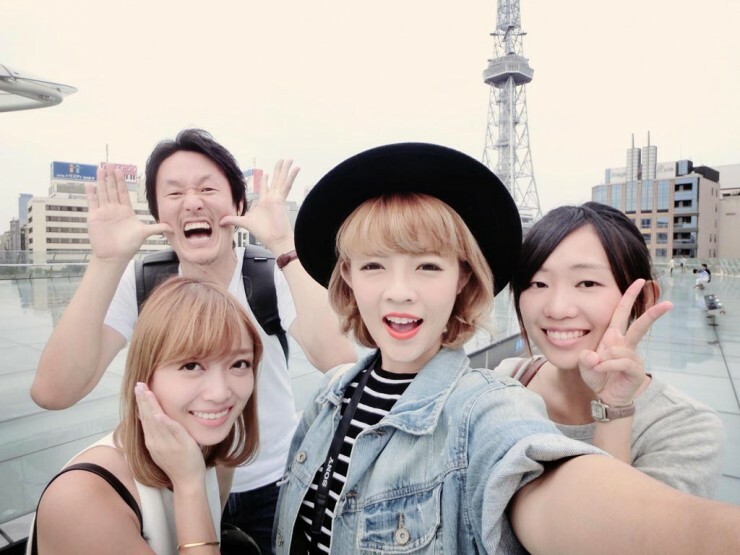 After a short walk in Sakae station, we went to Nagoya Central Park to visit the TV tower! If you’re interested in taking a short walk around the park, you can take exit 8B then you will be able to see the park and tower just right in front of you! We also visited Oasis 21 since it’s still early and I wanted to see the floating pond hahaha. That’s us and our clients Lee-san and Charlene! 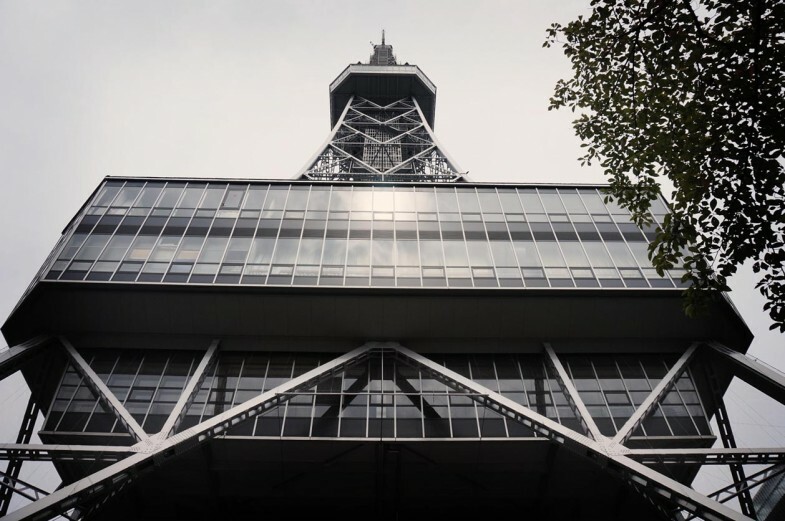 The roof is a large oval glass structure that floats above ground level. It is filled with water to create an interesting visual effect and to cool down the temperature of the shopping area and the public space for various events such as “Milky Way Square” below in the summer. Isn’t it cool!!! From there we proceeded to our next stop of our shopping spree which is Lachic! 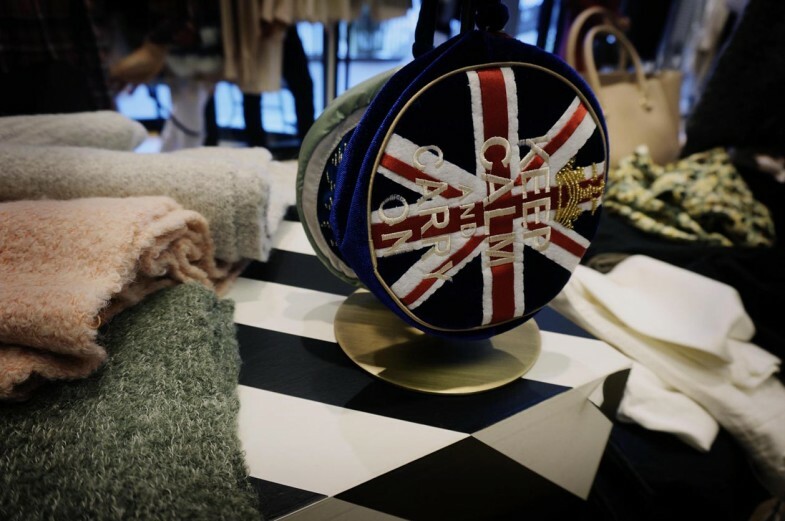 Lachic is a department store that sells slightly higher-end, branded labels for the younger generation, like Chrome Hearts, can be found there! 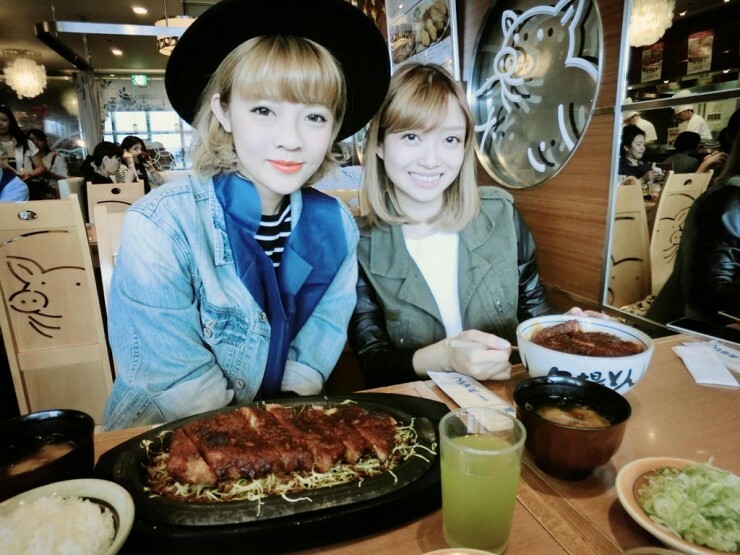 Lee-san and Charlene brought us to have lunch at Yamaton for Miso katsu and it’s located in Lachic too! 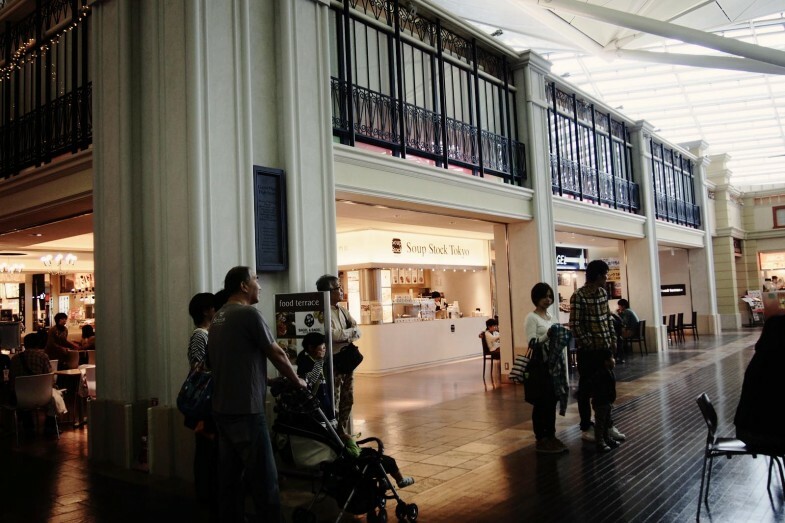 After lunch, we went to our second stop, which was Daimaru Matsuzakaya department store. 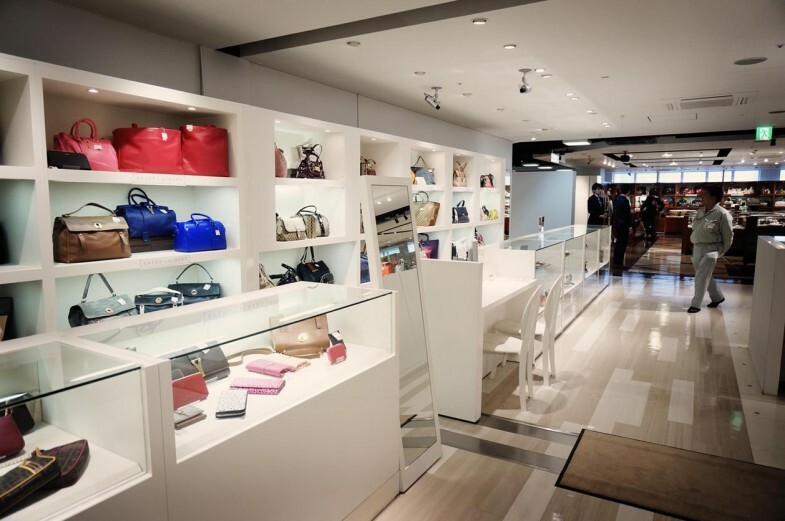 If you prefer to look at branded items like Gucci, Lousi Vuttion and Chanel, this mall is perfect for you! 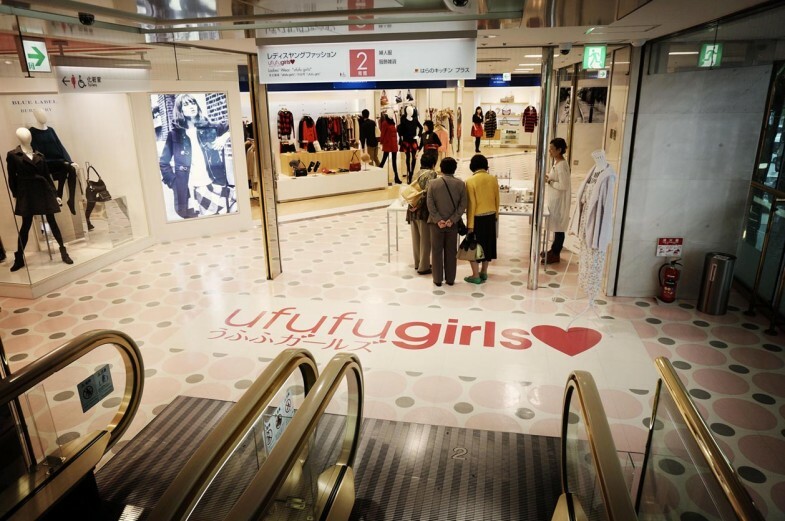 But if you’re like us who are more into young and fashionable clothing, you can head to their Ufufu girls floor! 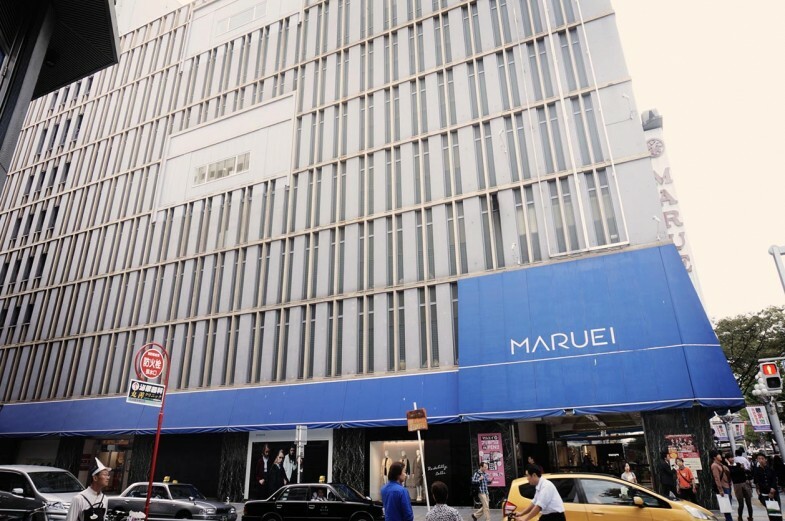 Last but not least, Audrey and I’s favorite mall, Maruei. 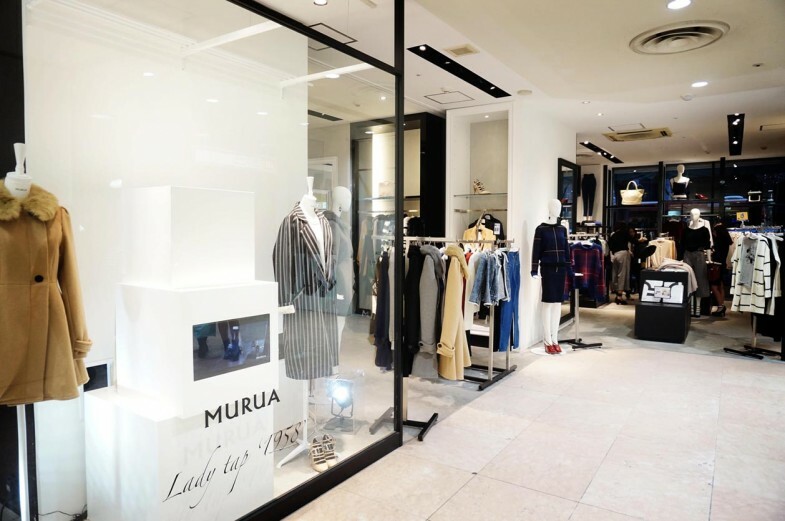 The well known MURUA and EMODA are both located in Maruei together with some other brands that can be found in Shibuya 101, Tokyo! To be honest, we spent most of our time there looking at each and every thing in the mall! I managed to get myself 2 pairs of heels for 9000 yen, super good deal! 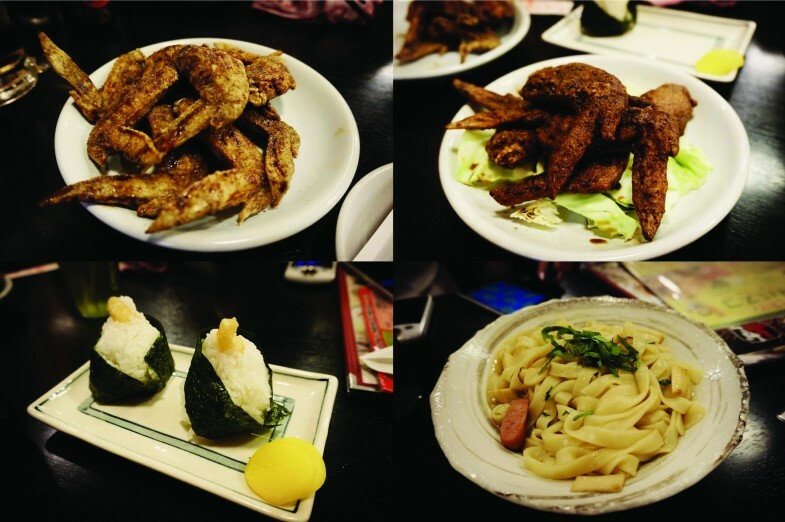 My super favorite fried chicken wings for dinner with Citygal at Sekai no Yama-chan! 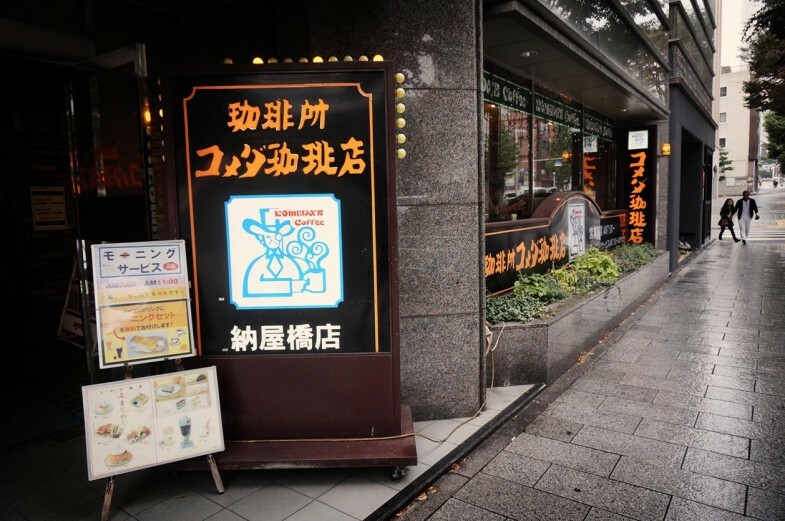 They have around 72 branches in Nagoya so you can basically find it anywhere in Nagoya! If you’re staying in Richmond Hotel there is one branch opposite our hotel! Beer and fried chicken are like the perfect combination for any occasion! I think I can have it everyday because their fried chicken wings is very crispy and full of peppery flavor! 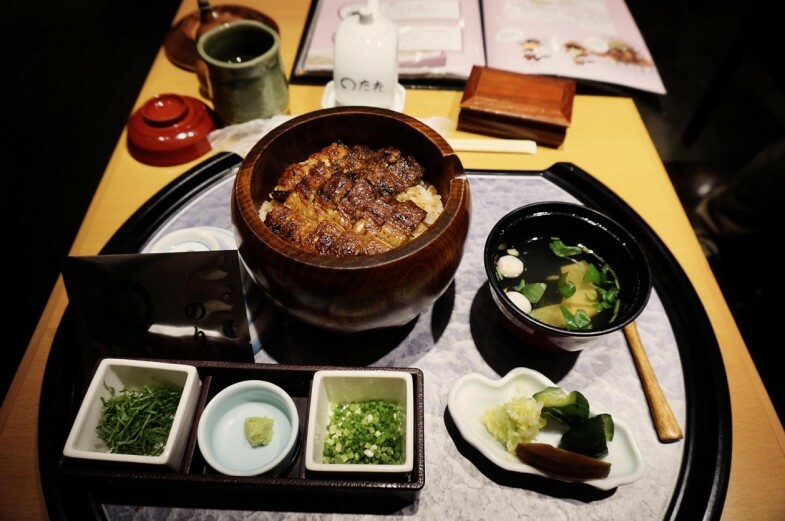 Besides chicken wings, we also ordered Nagoya’s famous Tenmusu and dry Kishimen (flat noodles). After dinner, we decided to take a short walk back to our hotel to meet up with our clients before leaving the next day! Golden opportunity to take a group pic with everyone who took good care of us! 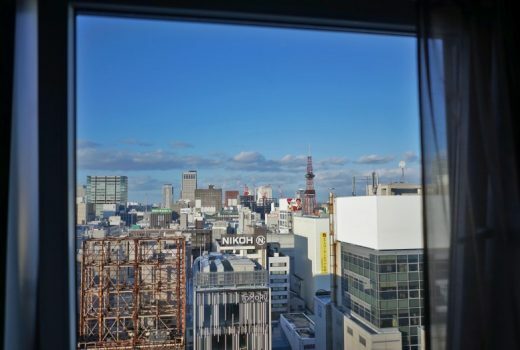 During the meet up, we were told that there will be a typhoon hitting Nagoya the next day, so it will be better if we cancelled all our plans and headed to the airport right after breakfast, before things get crazy. Just as what we were told, it started raining in the morning and the weather turned colder compared to the past 3 days! Rain wont stop us from eating before heading to the airport hahaha. 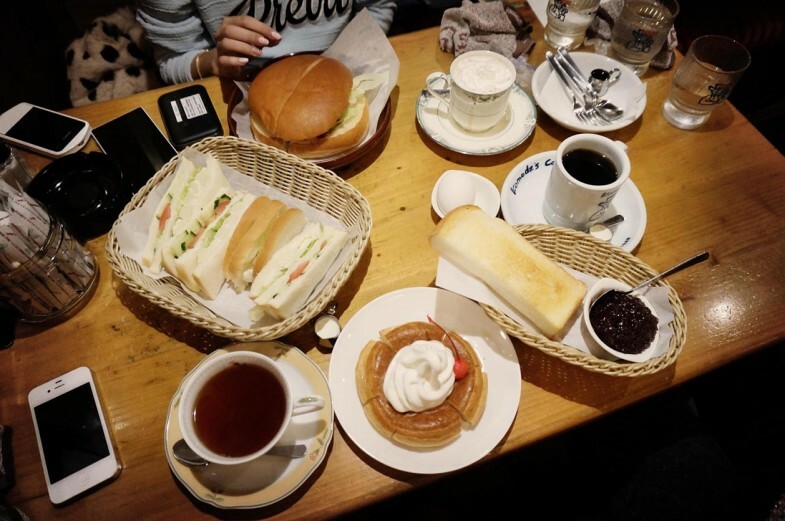 We managed to try out the famous Komeda café, all thanks to Citygal! There is this special culture in Nagoya where if you order a coffee you get an egg and toast for free! The amount of food that we ordered in the morning is a bit crazy hahahaha. 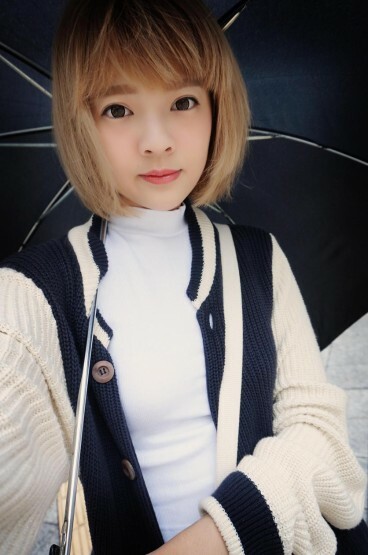 We took a taxi to Nagoya station because of the rain and it cost around 800yen for a 5 min ride T__T taxi’s in Japan is really expensive so try to avoid taking them if you can. We reached the airport 3 hours early for check-in so we had plenty of time to shop in the airport! I’m actually quite glad that we came to the airport earlier because there is so much to shop and buy in the airport!! There is Samatha Thavasa in the airport and we were like YEAH!!! 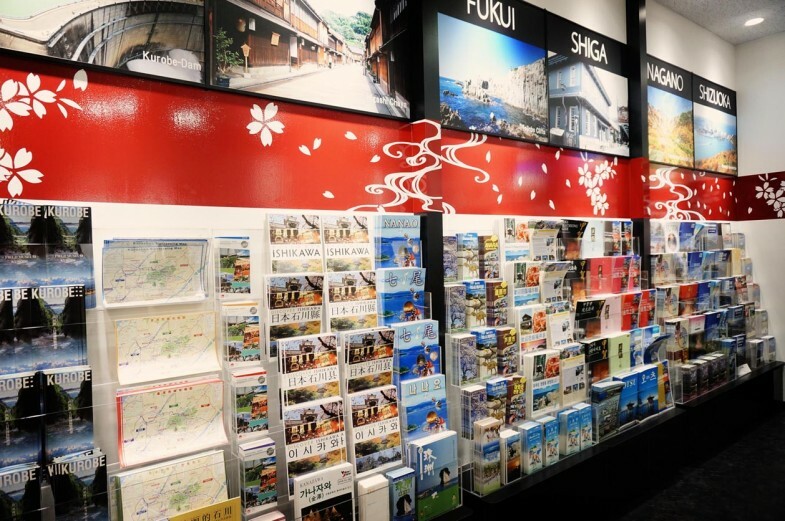 Besides that, you can also buy all sorts of souvenirs here in the airport! Since I didn’t get a chance to try out Nagoya’s famous Hitsumabushi in town, I’m glad that I found their branch in the airport! There is an instruction booklet for you to read before eating it. 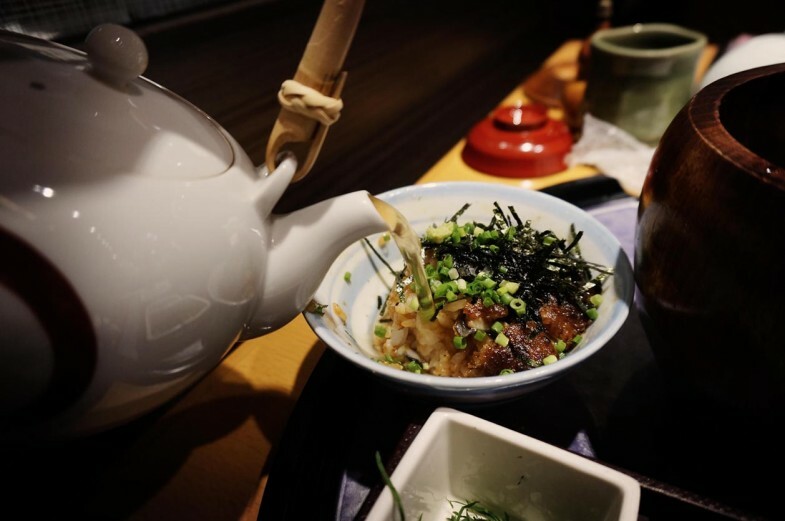 There are 3 different ways of eating it and my favourite is mixing it with Japanese tea! A little bit of spring onion and wasabi to spice up the flavor a bit! Adding tea and dried seaweed to bring it to another level!! 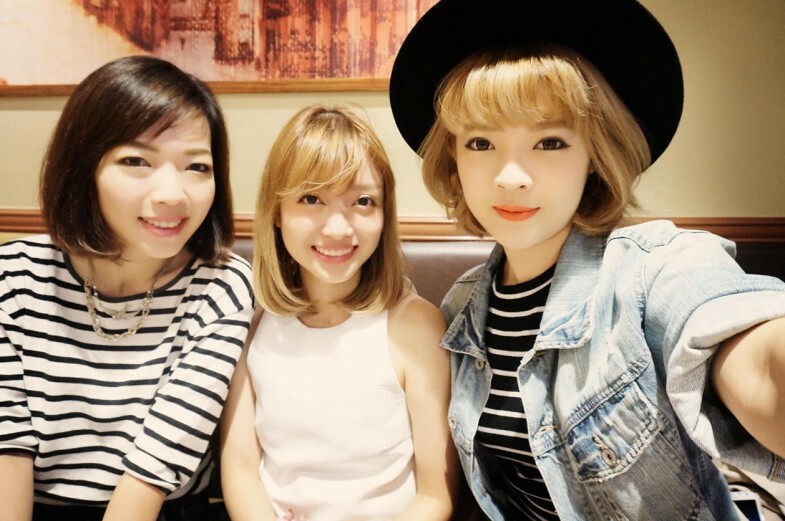 After a very satisfying lunch, I met up with Citygal and Audrey to continue out shopping spree in the airport hahaha. 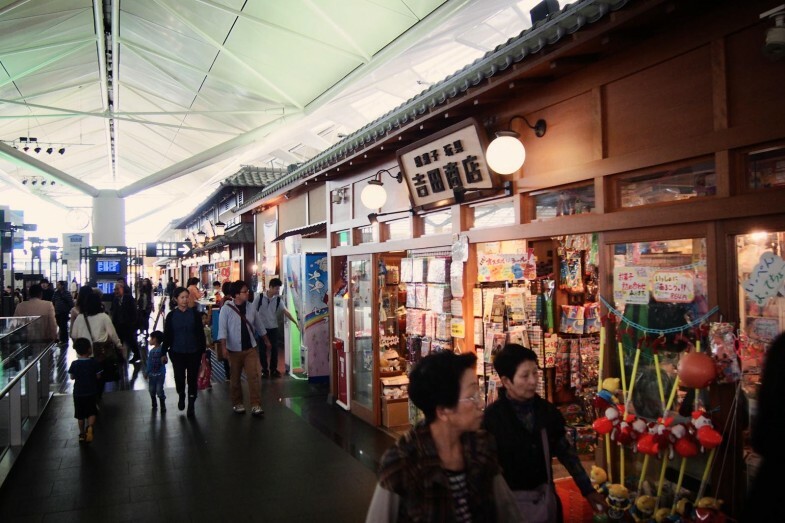 Something unique about Centrair shopping street is that they separate them by Western and traditional Japanese sections. 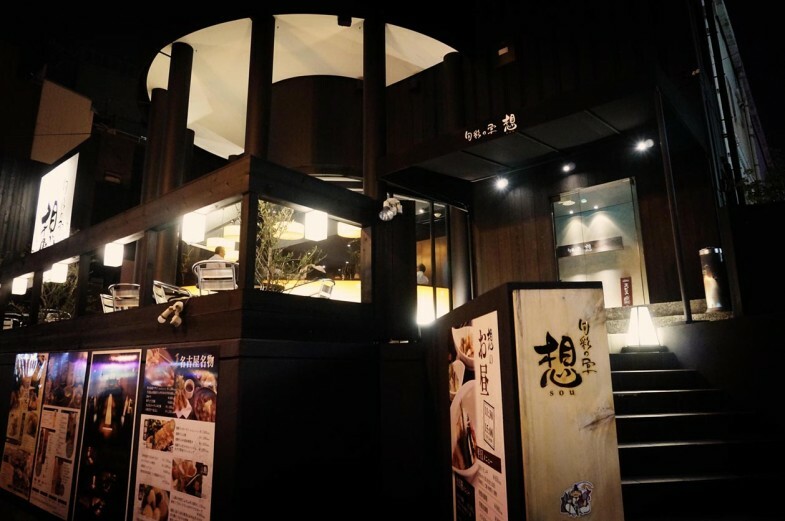 You can easily find all the famous restaurants in Nagoya at the Japanese side of the building so if you miss any of them you can still try them at the airport! 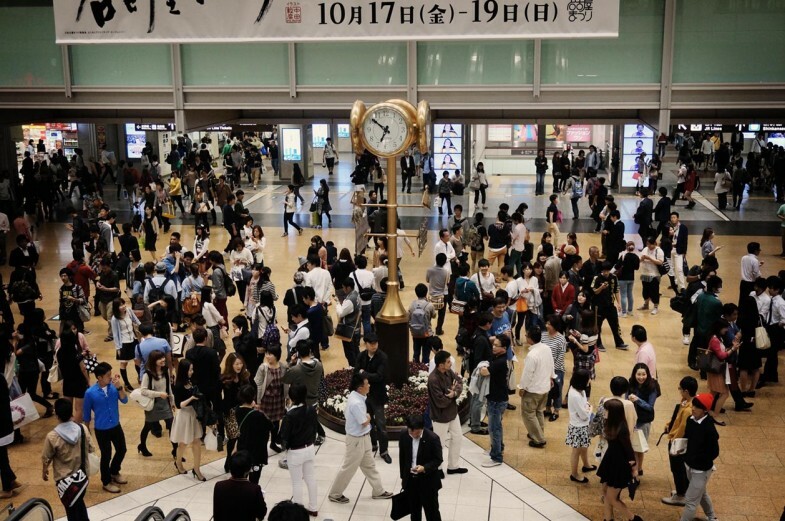 Tips- Make sure you come to the aiport 1-2 hours earlier from your check in time so that you have enough time to walk around and do a last minute souvenir shopping for your loved ones! 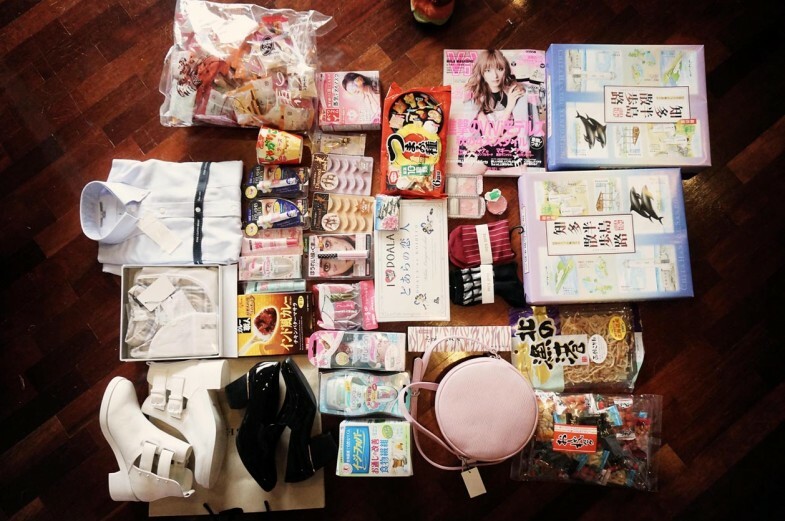 The amount of things that I bought in Nagoya and 50% of them I got at the airport hahha. 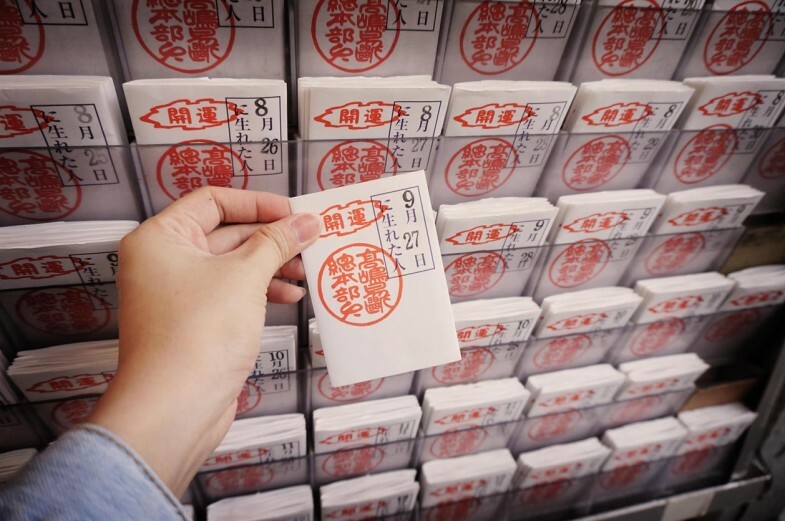 I spent a total of 60,000 yen for a 4D3N trip in Nagoya including food, transport and shopping! I would like to thank Nuffnang and Japan Tourism for this opportunity to visit Japan again, I always get Japan withdrawal syndrome after all my Japan trips! I’m planning to visit Nagoya again next year together with my parents, and this time I get to be the tour guide and show them around hehe. 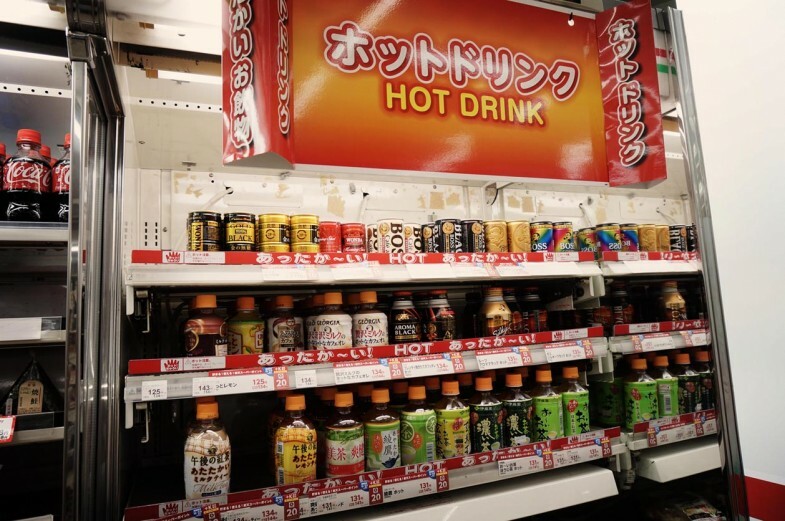 I hope you enjoyed reading my post and hopefully you will get to use it as your shopping guide when you visit Nagoya in the future. thanks for the insightful tour on Nagoya. Now it’s time to look out for AirAsia cheap tickets to bring my family. ure most welcome. 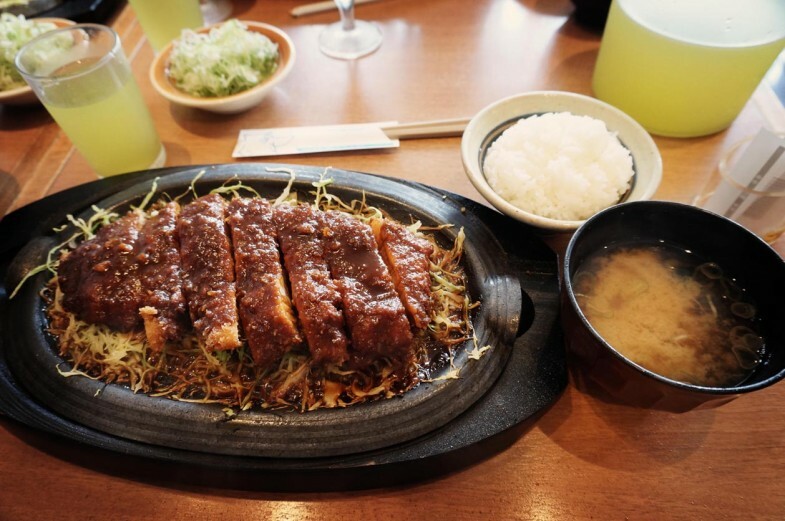 Have fun and eat more Hitsumabushi. Thank you for all the info. I really love your fashion sense! Hi, May I know when did you visit Nagoya here? Which month?